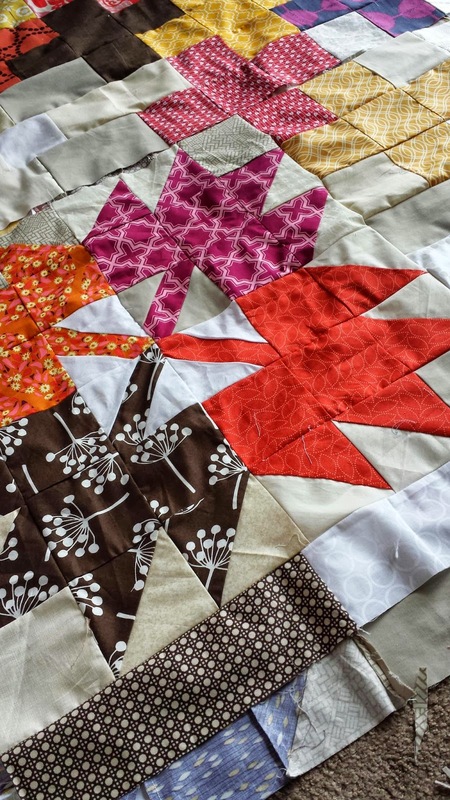 Sneak peek of the backing to my Modern Maples quilt, which I've been piecing together all week! I did some quilt top surgery and placed a brown Pearl Bracelet leaf on the bottom left corner (I couldn't take the absence of that print from my top!!). Apparently, I'm hopelessly lost without Lizzy House prints. 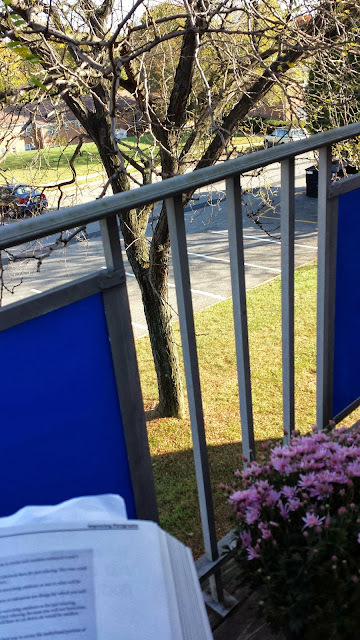 Also, I've been doing some reading outside on my new balcony <3 At least, when the yellow jackets aren't around! Awesome. I posted leaves today too. WIP Wed is wonderful. You gotta enjoy that beautiful fall weather out on the balcony while you can! Thanks for the sneak peek! Lovely warm colours. It looks snuggly already! Lookin' good! 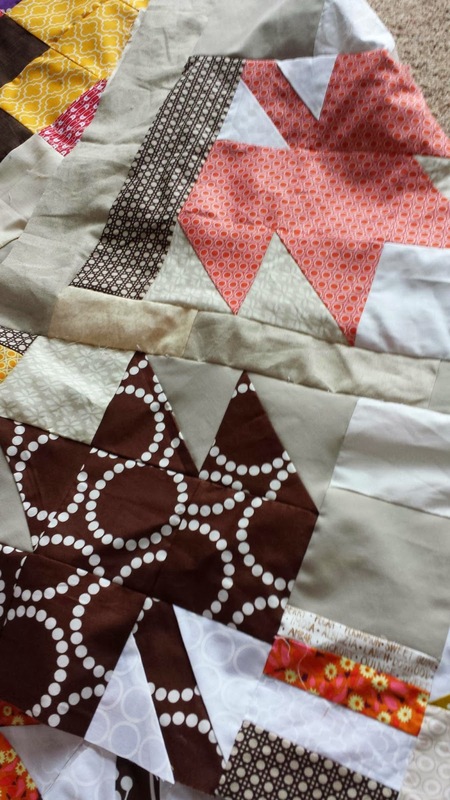 Hard to image your new leaf in there, so I look forward to seeing the quilt in full again! it looks great, and you are convincing me I need some brown fabric!! Your quilt looks so terrific and I'm anxious to see that backing - more maples?? Wow! I haven't seen anyone put their maples together in that way and I am loving it!! Ooh I love the pluses that I can see in the photo! And I think I would have done exactly as you did, the brown pearl bracelets in your quilt was meant to be, and I too would be so lost without her amazing fabrics.